The game is regularly featured on both the TV and in movies. However, there are many who have never played roulette before and do not have a full understanding of the roulette rules. Here we give some handy tips for roulette for beginners and offer some advice for both the online game and land based casinos. 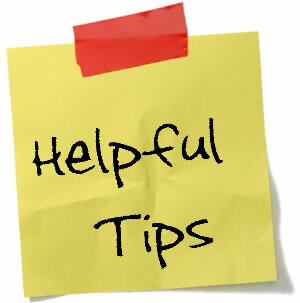 These roulette tips apply regardless if you play roulette for real money or just for fun. When playing for the first time, it might be an idea to gain a feel for the game without actually investing money by playing roulette for free. Online players will have the opportunity of doing exactly this. There are many sites where you’ll be able to play without depositing money, and you’ll be able to play at some casinos without registration. The US friendly Bovada is a great example, with games available in demo mode. You’ll be more prepared when you play for real money having gained a feel for the game this way. If playing at a land based casino for the first time, it can be something of a daunting experience, as there is a lot to take in, so it might be a good idea to watch the game for a while before playing. You’ll quickly gain an understanding of when you should be betting, what the chips are worth and how you’ll actually place a variety of bets. 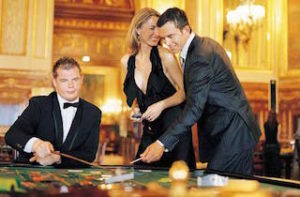 We have an article dedicated to roulette etiquette, which will help ensure your first live experience goes smoothly. There are a number of varieties of roulette and these games have slightly different rules. The two most popular games are European Roulette and American Roulette and there is one major difference between the two which plays an important role in your ability to win. This plays a very important role as having only one zero cuts the house edge by almost a half when compared to American roulette. It means that your chances of winning are more favorable. This actually means that the house edge when playing American Roulette is larger than when playing at a European wheel – the house will earn 5.26% as opposed to 2.70% in European roulette. Again, this is why we would advise always playing at European roulette table. This applies particularly to an online casino, as many sites will feature both games, however, you might also find both games at an actual casino. Some might want the chance to have a big win for a small stake, while others might want to have a great chance of winning with every spin of the wheel. Whichever way you play the game, the house edge is the same, so you are not actually better off by choosing one strategy over another. Single numbers would be a popular choice where you’ll gain odds of 35/1 when hitting that number. You could also place a split bet covering two numbers which offers odds of 17/1. Betting a street or a corner will also pay at good odds. For those who want more chance of winning on every spin, even money bets might be the ideal way to go. You could bet on red or black, odd or even or 1-18 or 19-36. You’ll win just under half the time. Other bets which win more regularly are columns or 1-12, 13-24 and 25-36 which pay out at odds of 2/1. Some players will get drawn into thinking that the odds are in their favor at a roulette table when they are actually not. You can learn more about it by reading an excellent article on the house edge in roulette. Many players have increased their stakes based on the gambler’s fallacy, thinking they are indeed gaining a great deal. 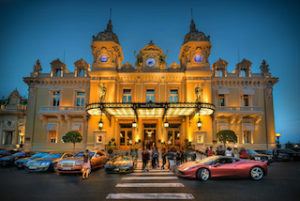 One famous instance of this took place in 1913 in Monte Carlo. The ball fell in black on 26 consecutive occasions and gamblers lost millions of francs by betting against black, figuring that the probability was now a long sequence of red results. When playing online, many sites will feature responsible gaming options, where you’ll be able to limit your deposit amounts on a daily, weekly or monthly basis. Make use of these if you consider you might be at risk of gambling more than you can afford. Nothing puts a sour taste in your mouth and spoils all the fun you can have while playing roulette as losing all your money. Bankroll management is the most important element in playing roulette and winning. If you ask any seasoned roulette player to give you tips for roulette you can expect that bankroll management will be the first one they will mention. Updated on September 8, 2017 by Best Roulette Team.